Welcome to the Junior League of Lancaster Sustainers! Thank you for your interest in the Junior League of Lancaster (JLL). We Sustainers are members who have completed the requirements of Active membership, and who continue to impact our community in diverse ways. 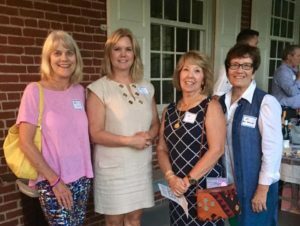 In addition to our significant volunteer involvement in Lancaster County, Sustainers may serve on Active Junior League member committees, serve as formal committee liaisons, work on projects and provide counsel upon request. A Sustainer Board of Directors coordinates our activities. Each Sustainer member is valued, whether or not she chooses to be active as a Sustainer. 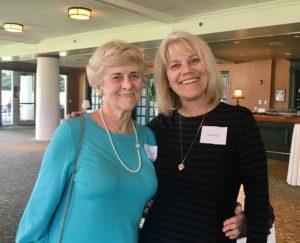 Loyal membership helps to support the work of our Active members financially so that the JLL can continue to promote voluntarism, develop the potential of women and improve the community through the effective action and leadership of trained volunteers. We enjoy the opportunity to see old friends and make new ones via our diverse social opportunities. Are you a Sustainer who resigned and now wishes to re-instate? We welcome you. Contact both the Sustainer Chair and the Treasurer. Are you a Sustainer planning to transfer to the Junior League of Lancaster? We look forward to welcoming you. To our current Sustainers, thank you. Your loyal membership helps to support the work of our Actives both financially and through your leadership and support. Your counsel on committees provides historical perspective and knowledge. We hope you will join us at one or more of our social offerings and at any of our fundraising events. If you are not receiving our e-Blasts, email our Communications Committee for assistance updating your email address in the member portal. If you are on Facebook, ask to join JLL Sustainers Only, a closed group. This page provides real time information. If you’re moving to the Lancaster area and are interested in transferring to The Junior League of Lancaster, we are thrilled for you to join our League. You must notify your CURRENT League as a first step. The procedure varies by League so check your League’s website, your membership directory, or contact the Corresponding Secretary for guidance. Your League will notify the JLL of your intent to transfer and we will send you a welcome email. You will be contacted by the Sustainer Chair who will share the year’s curriculum, social calendar and dues requirement. Once your sending League enters the transfer and it is received by JLL you will have 90 days to pay your JLL dues. JLL policies require dues to be paid in 90 days or you will be dropped from our membership. If you are due a refund from your previous League, please work with them to arrange for the refund. Because each League is independent we’re unable to transfer funds between Leagues. Contact us at any time if you have further questions. Email sustainer@jllancaster.org.